How does a sprinkler controller work? 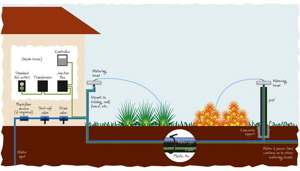 The best way of maintaining your sprinkler system is by first learning how it works in the first place. If you want to go the DIY route or just seek out to understand how it works, then read on. You can save a lot of water and the source of energy that you are using for much needed days. Sprinklers are different in terms of make and model. However, they all use the same programming basics to water your lawn. The valve is the simplest part that you can learn. The valve is small in terms of size and weighs less than a kilo. However, despite its size it plays a significant role in the irrigation system. The role of the valves is to respond to signals that are made by the timer. These signals are the ones that cause the valve to either open or close. The station’s purpose is to receive water. However, this takes part when the valves are being controlled, otherwise the water does not fill this unit. Each station corresponds to each valve. However, when watering a large area, a station can be set to correspond to more than two valves. The station is also referred to as the zone. Every sprinkler needs a program in order to control the stations. Modern units possess three programs, simply named as program A, B and C. These programs gives you the privilege of choosing where you want to water. 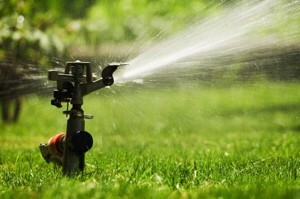 Each program can be set to water a different section of your lawn. After understanding different terminologies, you can now proceed on to learning some of the basic features of a controller. Programming an irrigation’s system timer for yourself is not an easy task. However, the manual guide included with your product will give you directions on how to use these features. The first feature is the start time, which gives you the privilege of specifying when the sprinkler should work. Runtime is the second element found in an irrigation controller, and its role is to determine how long a valve remains open. Run is another interesting feature that most homeowner use, because the sprinkler system works according to how you have set your programs. The semi-auto feature is a new feature found in newer models. Simply choose the program that you want to run on semi auto, whenever you want. You can use the semi auto feature when you want all the sections of your lawn to receive the same amount of water. However, the old sprinklers may not have this feature but you can achieve the same functionality using the manual feature. For it to work effectively, the first thing that you need to do is set your controller correctly. While doing so, ensure that the date and the time is correct. After that, you can start programming the irrigation controller and set different programs for each zone. Once you have configured the date and time, you can proceed on to entering a program on your choice. It will allow you to choose one of the programs and let you set up a watering schedule. After selecting the schedule, specify which days you would like the watering to take place. You can choose every day or any day that you wish. After selecting the days, use start time feature to decide the particular time you want to have your lawn watered. As you can see, traditional irrigation system setups can still fail. What if you’ve programmed it to water you lawn on a Saturday, yet it rained that day? Sure, there are models which take into account weather data, but they’re still quite difficult setup and maintain for the average homeowner. More modern irrigation controllers are now available. Dubbed as “Smart Irrigation Controllers”, these new setup can be controlled wirelessly, making it easier to monitor and control your watering schedule. The video below show how it works. Sprinkler systems work using the same program. The benefits of learning how the controller works include being able to maintain the irrigation controller system yourself and to know how to set different programs for different seasons and zones. Water sprinklers are easy to find and you can purchase one from local stores or from online stores, where it’s much more convenient.